There are little flickers of light that come from the un-found-out-about places of the world. There's this subtle growing energy pulse that ends up as whispers from a few who were brave enough to try something different. Those whispers are carried through the wind slowly drawing people into its remote beauty. It's what I imagine Tulum was like 15 years ago. This is what I feel like Belize is now, especially south Belize. Yes, we all know about the Blue Hole and Ambergris Cay, but if you venture into the jungle and further south the country unfolds itself like a really well kept secret. Naia is a little gem of a property that is taking the lead in turning southern Belize, Placencia to be exact, into a tropical wellness haven. They just get it. Modern beach bungalows are nestled in between layers of palms and hibiscus all with nature-infused outdoor showers and soaking tubs. They understand that part of the luxury of a jungle beach resort is being with nature. We woke up to the sound of the ocean and spent our days in the impressive spa complex nestled into the jungle. Their commitment to wellness is obvious in their incredibly gorgeous jungle-facing movement studio and spa cafe which features a variety of fresh smoothies and juices with local ingredients like tamarind and papaya. The property has a very peaceful and pacifying vibe to it. 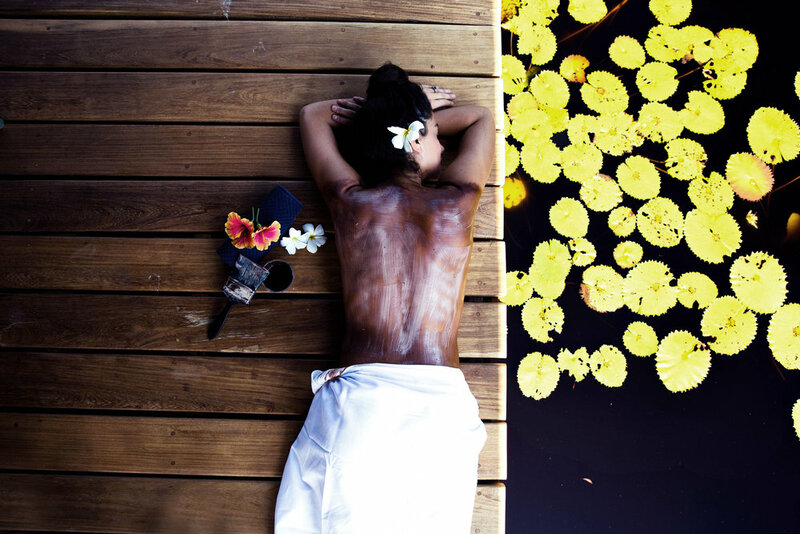 Try the Cacao body scrub treatment. South Belize is known for its cacao production. Maya communities still take pride in the traditional cultivation of this magic bean and there's no better place to try out its wellness effects. Take an ashtanga class with Aaron. It's so exciting when I'm able to travel and meet other yogis, especially ashtanga yogis! Aaron is incredibly knowledgeable. We just sat in the movement studio sharing tips and technique tricks. There's an interesting Belize-New Orleans connection so we had a blast chatting with each other about life. Kudos to Aaron for taking the lead on carrying on ashtanga in Placencia! Stretch it out in the Aerial Silks. This studio is too gorgeous not to spend some time hanging out in a silk cradle. It's also a great way to stretch out the travel kinks and deepen your stretches. You can fly into Placencia from Belize City on a prop plane. However, we opted to rent a car and drive and the Hummingbird Highway was one of the most beautiful drives I've ever been on! If you're looking for extra peace the spa pool is where it's at! There are paddle boards and kayaks you can rent to take out on the water. Take them out first thing in the morning to catch the smoothest, lagoon-like water current. Studio villas have double glass doors facing the ocean. If you would like a personal plunge pool, because why not, then go for a 1-bedroom beach house. *Bonus points for the tub in the 1-bedroom house.